"Do you know there are half a million more women than men in this happy country of ours? So many odd women--no making a pair with them. The pessimists call them useless, lost, futile lives. I, naturally--being one of them myself--take another view. I look upon them as a great reserve. When one woman vanishes in matrimony, the reserve offers a substitute for the world's work." Monica Madden, on the other hand, is the youngest of three single sisters. She's working as a shop girl in London when she meets an older gentleman named Edmund Widdowson. Although she doesn't love him, she wonders if marrying him might not be such a bad thing. After all, her older sisters don't appear to be very happy or satisfied in their single lives. 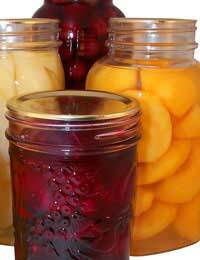 "As things went in the marriage war, she might esteem herself a most fortunate young woman. It seemed that he had really fallen in love with her; he might prove a devoted husband. She felt no love in return; but between the prospect of a marriage of esteem and that of no marriage at all there was little room for hesitation. The chances were that she might never again receive an offer from a man whose social standing she could respect." I really enjoyed reading about these 'odd women'. Their lives are funny and sad, sometimes fulfilling, (more often not), hopeful, poignant and brave. As a single girl myself, I could relate. I also enjoyed Gissing's style of writing. It's as if he borrowed the best of Jane Austen--her characters and her wit--and combined it with Thomas Hardy's gritty realism. There aren't a lot of happy endings (or happy marriages) in his world, but then this book is a criticism of Victorian society and its oppression of women, not a romantic fairy tale. There were moments when I wished for a little more happiness, especially for Monica and Rhoda because I liked them both so much. But, in books as in life, we don't always get what we want. Still, I'm very glad I read this book. While a book's cover or title may make me pick it up, often it's the first line that helps me decide whether or not to read it. First impressions are so important! Here are the first lines of some books I recently read---books that I enjoyed reading, but didn't review. See if any of their first lines strike you. First Line: "By 1927 there were twelve girls who danced all night and never gave names, but by then the men had given up asking and called them all Princess." First Line: "I want a refund from ancestry.com." First Line: "The first time Nakajima stayed over, I dreamed of my dead mom." First Line: "The water was so cold it took Heather's breath away as she fought past the kids crowding the beach and standing in the shallows, waving towels and homemade signs, cheering and calling up to the remaining jumpers." First Line: "The bride stood like a pillar of salt, rigid under layers of itchy petticoats." Don't let them bite you! And if you are bitten...don't go to sleep! No one knows what caused the outbreak; no one knows how to cure it, only that it's spreading fast--infecting thousands, leaving chaos, fear, and death in its wake. In order to survive, six teens will have to band together. They have an old school bus and a little bit of food, but can they make it past the freaks and monsters to safety without becoming infected themselves? "We're on our way to Threadville. And if that doesn't work, maybe to Devil's Wake. We're trying to believe in something, but some of us believe more than others. I don't know what I believe yet, or if believing matters. Maybe there are no schools, no safety, no such thing as family anymore. All I know is that I want to survive." So how do you stay alive as civilization dies and the world around you falls apart? And what would you be willing to do in order to survive? That's always the question in stories like this one. Life and death situations seem to bring out the best...and worst in people. 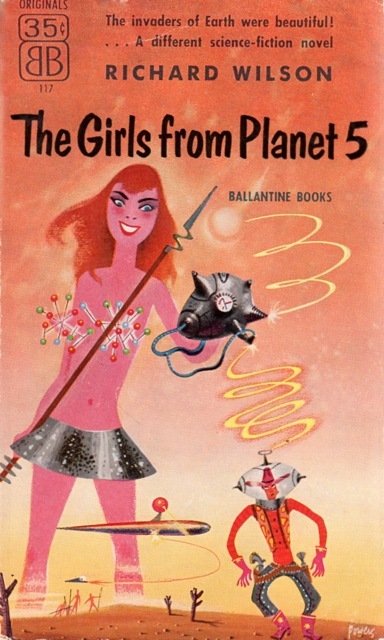 And it's that exploration of the human spirit that draws me to these kind of apocalyptic novels. That and the fact that they're fast-paced and fun to read. I admit that not every disaster/survival novel is worth reading. In fact, a lot of them are poorly written and downright dumb. But I enjoyed this one. 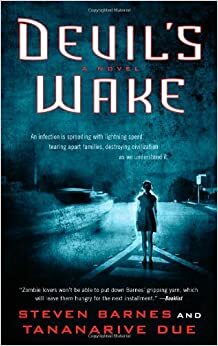 It's very readable and I liked the characters, especially 16-year-old Kendra, who loses her family to the infection and has to survive on her own until she crosses paths with Terry and his friends. I'm looking forward to reading the sequel, Domino Falls. So if you like reading about apocalyptic disasters, check this book out. It's a fun ride. I can't imagine a worse nightmare than being locked up in an Iranian prison for a crime I didn't commit. On January 31, 2009, that's exactly what happened to Roxana Saberi, an Iranian-American journalist working in Iran. She was accused of being a spy, interrogated, and imprisoned in Iran's Evin Prison for one hundred days. Through this experience she "saw the dark and bright sides of human nature, including my own." "Now that I had been deprived of freedom, I valued it more than ever. Freedom to interview people and to write a book about them without being thrown in jail. Freedom to tell my parents my whereabouts. Freedom to use the bathroom when I wanted, to read a book, to have a pen and paper. Freedom to walk without a blindfold and to shut off the lights at night. Freedom from coercion to make a false confession and to spy in exchange for my release. The right to be presumed innocent until proven guilty, to remain silent, to have a lawyer." 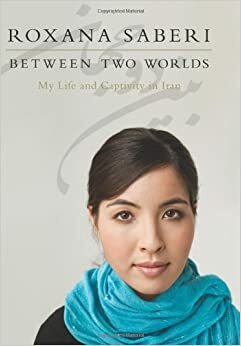 As much as I appreciated Saberi's story, it was the other women she met in Evin Prison that moved me the most. So many women, innocent of any crime, imprisoned just for "their peaceful pursuit of basic human rights or for their beliefs." I admire their faith, their integrity, their hope, their kindness and humanity, and the inner strength they somehow found to endure the unimaginable. They offered Saberi friendship along with some wisdom and advice to help her endure this trial in her life. It's advice that can apply to all of us. We choose what we do and say here...we do what we think is right. By doing so, we are taking one step toward God, and we believe He will then take ten steps toward us. We are trying to turn this challenge into an opportunity. We can make paradise for ourselves even in hell. See what I mean? This is a thoughtful, powerful, and memorable book. Today is Booklover's Day, and in honor of this auspicious occasion, I came up with a few indicators that you might be a bibliophile like me. If you agree with at least half of the following list, then congratulations! You're a bibliophile, too. Today is your day. So grab a book and enjoy. Your To-Read list is longer than your To-Do list. Your only card that's "maxed out" is your library card. At lunchtime, you care more about the book you're reading than the food you're eating. You talk about your favorite books like they're close, personal friends. You'd rather buy books than shoes. Your hardest packing decision when going on a trip is not only which books to bring, but how many you can fit in your suitcase. Your decorating style of choice is Bookshelf Chic. You don't have one favorite book (or author), you have many. Sometimes you wish everyone around you would just shut up and let you read in peace. Setting: Victorian London. Jack the Ripper is capturing all the headlines, but there's another murderer loose in London: the Thames Torso Killer...and he's even more dangerous than Jack. Cast of Characters: police surgeon Dr. Thomas Bond, the police inspectors of Scotland Yard, a mysterious Jesuit priest, a young Polish immigrant who sees portents and visions, and, of course, the killer, his innocent victims, and the demonic myth from whence he sprung. "The Jack they seek--this rabid killer of women--he is nothing. What I seek--the thing I seek--brings mayhem and wickedness in its wake, spreading it like this choking fog across the city. It runs in the water of the river, and it will destroy men's souls." My thoughts: The way this story is told reminded me a lot of Bram Stoker's Dracula; so if you like that book, I think you'll like this one, too. It's part historical fiction, part detective/mystery story with a supernatural twist. And it's so well-written! I had never heard of the Thames Torso murders, but they actually took place in London in the late 1880s. 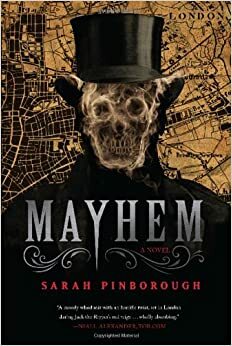 Mayhem is the first of two books Pinborough plans to write based on real-life police surgeon Dr. Thomas Bond. I enjoy books set in Victorian England, and I found this one, with its Jack-the-Ripper backdrop, especially interesting. Mayhem is an otherworldly mystery that's deliciously suspenseful. Why do some authors feel a need to leave their readers hanging? Do they not know how to bring their story to a satisfying conclusion, or are they morally opposed to tidily wrapped-up endings? (It doesn't have to be happy; it just needs to be definitive.) Maybe these authors are deliberately vague and mysterious because they equate obscurity with 'Literature.' Who knows. 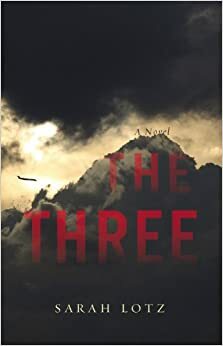 Personally, I wish Sarah Lotz had been a little less vague and enigmatic when she wrote the ending to The Three. Overall, it's a great read--I really liked the way she narrated the book using first-person accounts, official reports, interviews, etc. It reminded me a little of World War Z. But her ending left me a little perplexed, a little irritated, and wanting a little more! Homer's epic poem about the 'much-enduring' Odysseus is 24 books long. (Although Odysseus doesn't come on the scene until Book 5.) I finally read them all-every line of the whole (very long) poem. And I have to say, I'm still not a fan. Odysseus may be a favorite of the Greek gods (and goddesses), but he's not a favorite of mine. I think he's headstrong, brooding, incautious, and arrogant. Like one of his crew, Eurylochus, said, "Our friends went into (the Cyclops') cave because of Odysseus, and it was because of his recklessness that they died." (For which Odysseus almost cut off his head.) And while his wife was faithful to him, he was not faithful to her. What a guy. I'm just glad I don't have to take a test on it this time around. I liked the Greek gods much better when I was younger; now I find their haughty sense of entitlement annoying and their interference with mortal men and women petty and mean. But yay! I read my Seventh Classic of 2014 for real this time. 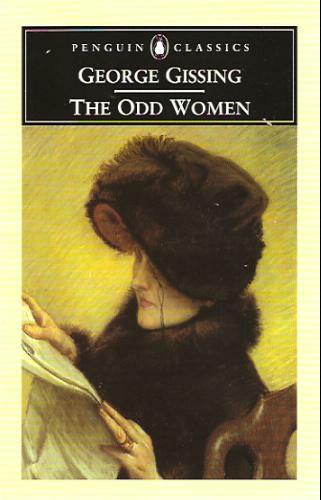 Now it's on to George Gissing's The Odd Women. 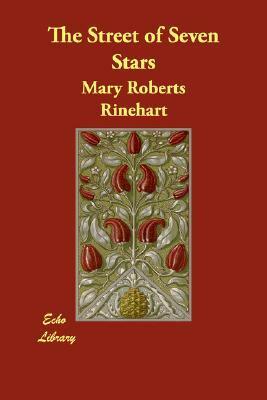 Mary Roberts Rinehart has been referred to as 'the American Agatha Christie'. Known for her mysteries, she is considered to be the source of the phrase "the butler did it". Funnily enough, The Street of Seven Stars, which was published in 1914, is not a mystery, but a romance. It's a sweet, well-written story about two Americans in Vienna: Harmony Wells is a talented young violinist studying music; and Peter Byrne is a young doctor studying to be a surgeon. They meet in a pension and soon become friends. 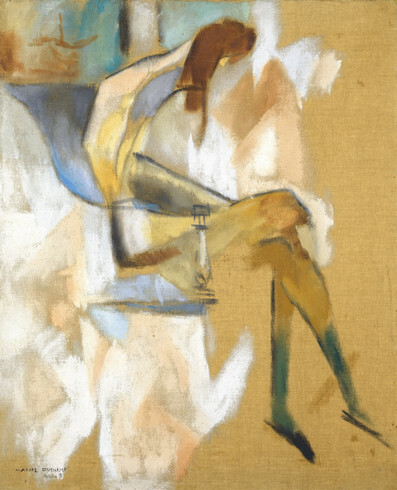 Harmony was as delicately strung, as vibratingly responsive as the strings of her own violin, and under the even lightness of his tone she felt many things that met a response in her--loneliness and struggle, and the ever-present anxiety about money, grim determination, hope and fear, and even occasional despair. "It's curious, isn't it?" Peter said. "Here we are, you and I, meeting in the center of Europe, both lonely as the mischief, both working our heads off for an idea that may never pan out!" Their unconventional friendship is complicated by their lodging arrangements, by their both putting their careers ahead of marriage, by the moral judgments of both strangers and acquaintances, a lack of money, and society in general. Rinehart leaves you guessing whether or not there's going to be a happy ending for these two right up until the very end. I really enjoyed this 1914 novel. 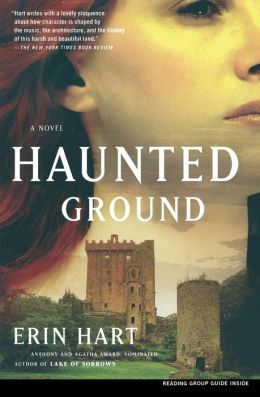 I'd like to read more of Rinehart's books...try one of her mysteries next time. She writes a delightful story. I'm glad my plan this summer to read books that were published 100 years ago led me to this author. At the same time, it makes me a little sad that my summer of reading books from 1914 is fast coming to an end. I only have one more book to go: Leonard Woolf's The Wise Virgins. Hopefully that'll be a good read, too, because the other 1914 books I've read this summer have been a lot of fun.